Xiaomi‘s Redmi Note 6 Pro smartphone has just been announced in Thailand. The handset comes with almost similar specs sheet as the older Xiaomi Redmi Note 5 Pro, except for the increased display estate, the added notch cut-out and of course, a 19:9 aspect ratio. So as far as specification goes, we are looking at a device with a 6.24-inch display with a full HD+ resolution (2,280 x 1,080p) and a screen-to-body ratio of 86 percent. And just like the Xiaomi Mi 8 series, the cut-out above the display houses the front-facing bells and hills features and sensors, which includes; dual cameras, earpiece and proximity sensor. As for the camera department, for the first time, Xiaom has included dual rear sensor up-front, consisting of 20MP and 2MP shooters, with the secondary camera likely to be a depth sensor for offering bokeh effects. At the back, the handset sports dual 12MP + 5MP snappers with LED flash and f/1.9 aperture. The cameras support AI scene detection, EIS, AI Beautify 4.0, and AI Portrait 2.0. Internally, the Xiaomi Redmi 6 Pro is powered by same old Qualcomm’s Snapdragon 636 chipset seen on Redmi 5 pro, along with 4GB of RAM and 64GB of expandable storage. It is also believed that the device will have 3GB RAM version, probably slated to launch in other regions. 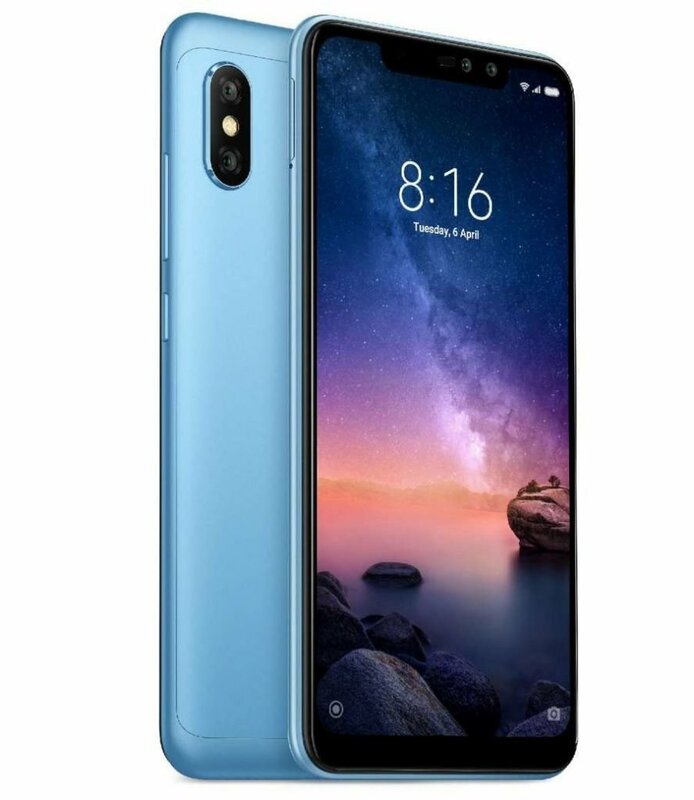 Other specifications of the Xiaomi Redmi 6 Pro includes dual-SIM, Android Oreo, 4G LTE, Wi-Fi, Bluetooth 5.0, and GPS. 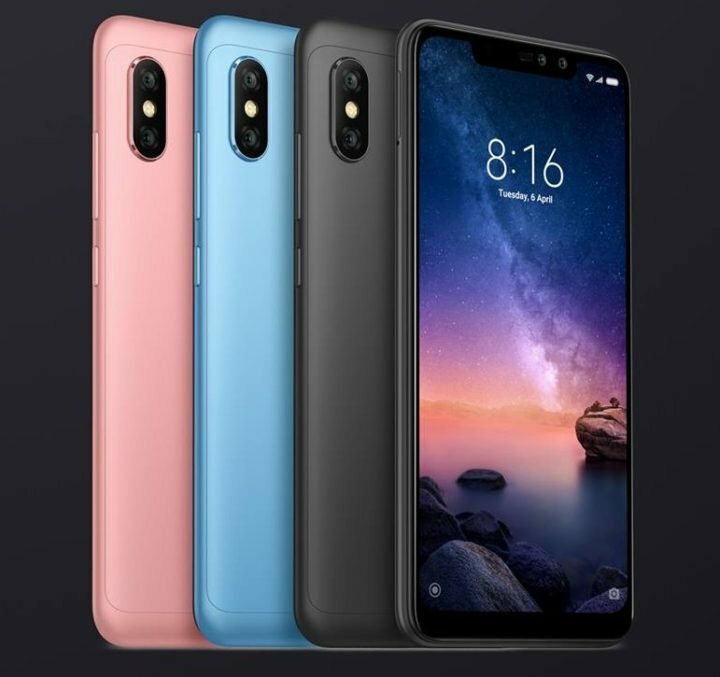 The Xiaomi Redmi 6 Pro is still stocked with USB 2.0 port for charging and data transfers, while still retaining a 3.5mm audio jack. All the rubbers and engines above are fueled by a 4000mAh battery. 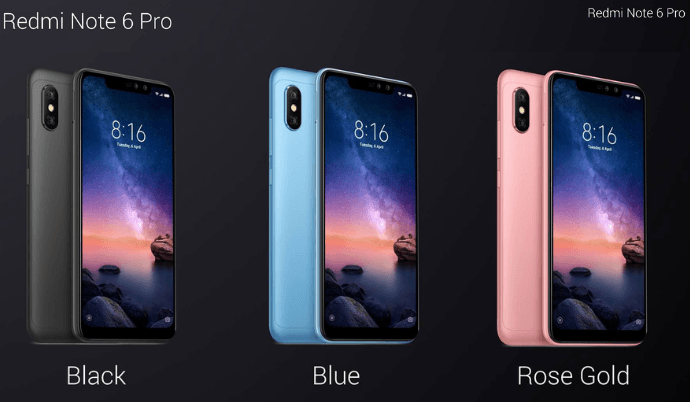 The Xiaomi Redmi Note 6 Pro comes in Black, Blue and Rose Gold colors. It has just been announced and of course, available to Thailandians, either via Lazada or the currently ongoing Thailand Mobile Expo. As for pricing, the Redmi 6 Pro is priced at 6,990 Thai Baht, (translating to about $216) for the 4GB + 64GB version.